The third time was the charm for law enforcement — not so much for the man they were chasing. A high-speed pursuit that started in Laurel and ended in Wayne County resulted in the arrest of a man who was a danger to the community, Laurel Police Chief Tommy Cox said. Arsenio Odems, 28, faces multiple charges — including attempted aggravated assault on a law enforcement officer and felony fleeing — after wrecking the Nissan Altima he was driving in Waynesboro around noon on Saturday. Odems had eluded other law enforcement agencies the day before and earlier that morning while he was wanted on a felony malicious mischief warrant for vandalism, Cox said. A passenger who was in the car with him on Ellisville Boulevard jumped out of the car at the beginning of the chase that morning, and when officers stopped to check on him, Odems got away. The passenger, who was not identified, was not charged and was not seriously injured. When Lt. Mark Evans saw Odems near Martin Luther King Drive just before noon, he was “attempting to pass a funeral procession and nearly caused a head-on collision” with Evans, according to the report. 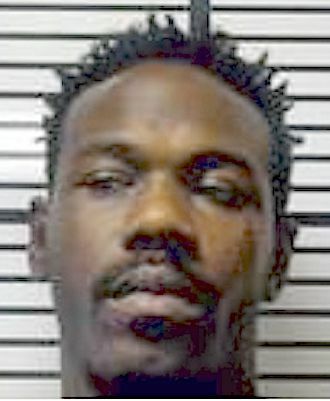 Evans gave chase up Highway 84 East in Laurel and was joined by the Jones County and Wayne County sheriff’s departments and the Mississippi Highway Patrol before Odems crashed the Altima on Highway 145 in Waynesboro, then fled into woods. Witnesses said that the pursuit reached speeds of 120 mph or more. A couple of hours later, he got a resident to take him to a service station, according to the report. That resident didn’t know Odems was wanted by law enforcement, but when he found out, he let officers know, Cox said. 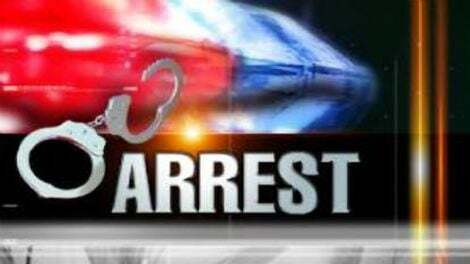 Waynesboro police took him into custody at the store without incident and an LPD unit went and picked him up. The LPD has a “common-sense chase policy,” that takes several factors into consideration before engaging in a pursuit, Cox said. They consider the seriousness of the crime, the conditions, traffic and the time of day, among other things. Odems is in the Jones County Adult Detention Center on $50,500 bond, which was set by Judge Kyle Robertson in Laurel Municipal Court. In addition to the felony assault, fleeing and malicious mischief charges, he was also charged with failure to yield to an emergency vehicle, simple assault, reckless driving, disobeying a traffic device and no license.